• Cancer as a Gift? Dr. Kneier has developed innovative ways of thinking and coping that have helped his clients and their families come to terms with personal issues and face them head-on. Whether you’re gathering the courage to communicate honestly with your significant other or children or having trouble determining what your prognosis actually means for you, Dr. Kneier will guide you through the questions and answers that have helped thousands of others who have also navigated this challenging journey. 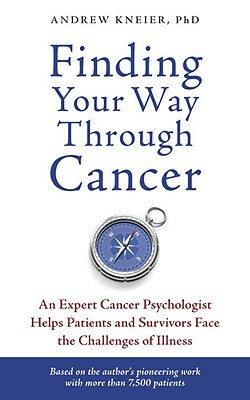 ANDREW KNEIER, PhD, was the only clinical psychologist on faculty at the University of California, San Francisco, Comprehensive Cancer Center from 1990 through 2006, and has met with more than 7,500 patients one-on-one. As the coordinator of the UCSF Psychosocial Oncology Program, he developed support services and related research. Today, Dr. Kneier is in private practice through affiliation with the Sierra Nevada Comprehensive Cancer Center. He lives with his wife in Grass Valley, California.